Employees from various sections of the Mobile, Alabama Police Department faced off in a heated battle on Saturday. The heat came from steaming bowls of homemade chili. Image courtesy of Mobile PD / Flickr. Citizens came to Mardi Gras Park to sample the creations of nine teams of officers, dispatchers, investigators, and others. The agency said on Facebook, "Another great MPD Chili Cook-Off held today at Mardi Gras Park! 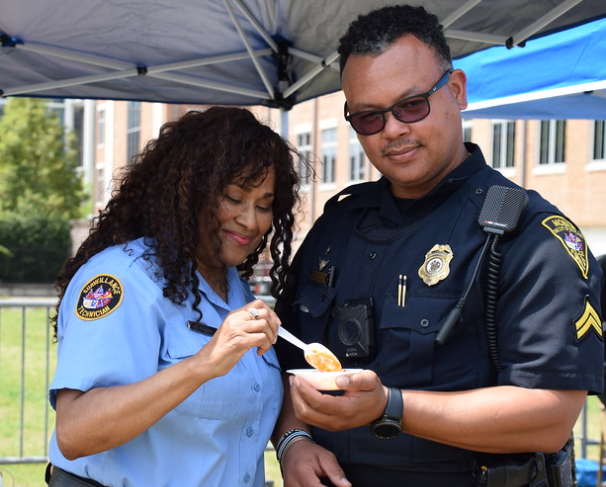 Nine teams of police officers competed against each other with their best chili recipes. Winning the People's Choice Award was the Homicide Unit for its “Drop Dead Chili.” The Homicide Unit was also named the Best Chili Overall Winner. As always, thank you all who participated in our Chili Cook-Off! It was chili time fun!" Proceeds of the event will benefit the Mobile Law Enforcement Foundation and MPD Crime Prevention Unit.